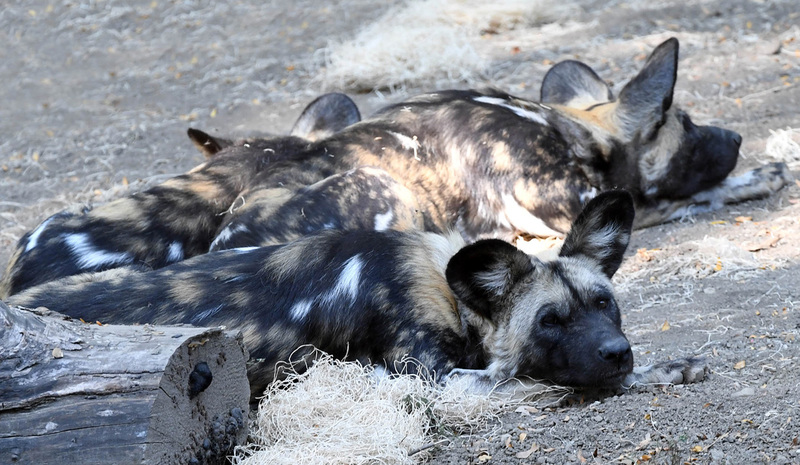 This is Ola, Chewbacca, Lulu, and Voltron; together they make up Brookfield Zoo’s African painted dog pack. Let’s look into a #dayinthelife of these highly social, sub-Saharan canids. African painted dogs are specialized and efficient hunters, and their hunting success rate is among the highest of any carnivore species. Brookfield Zoo offers a variety of food items to mimic the dogs' natural diet, including the ribs Ola is enjoying as a snack. When the pack wakes up each morning they perform a greeting ceremony with one another. Each dog seeks out other pack members with its head lowered and back arched, often while whining and yelping. This mimics submissive behaviors, and these ceremonies are thought to further strengthen the cooperative bonds within a pack. 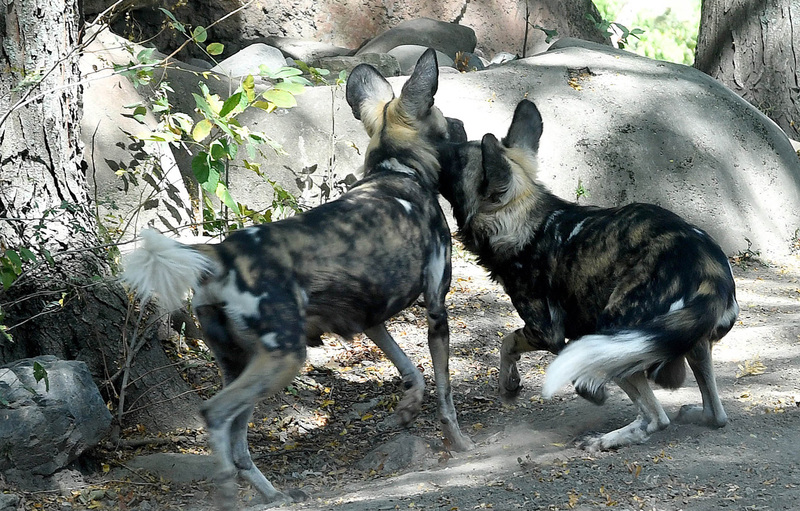 Scent rolling is one of the many ways that African painted dogs communicate, although what they are communicating isn’t exactly known yet. 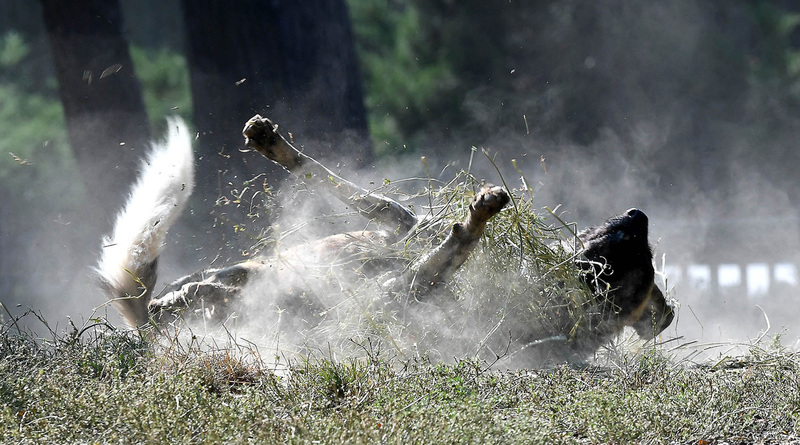 Scientists have a few different ideas as to why dogs might roll in stinky things, including marking their territories. Does your dog roll around in the backyard? 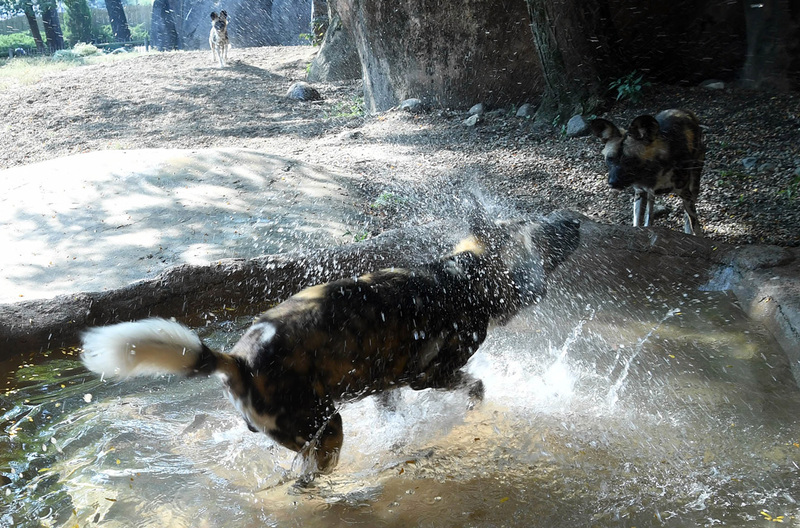 African painted dogs love play time. Play is another way they keep their family bonds strong within a pack. Today they are playing in their pool! 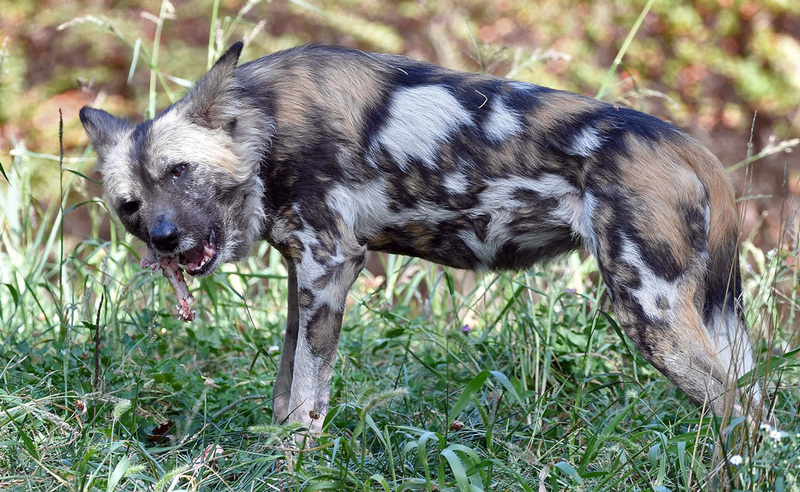 Painted dogs are extremely social animals who hunt together, play together, feed together, and even sleep together. They can often be found sleeping in a large pile like they are today. Stop by Habitat Africa! 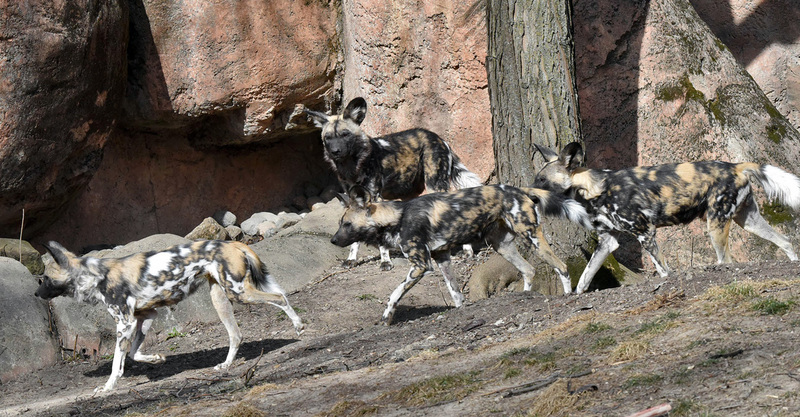 The Savannah to see the African painted dogs on your next stop to Brookfield Zoo!